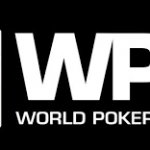 World poker tour and Seminole Hard Rock Hotel & Casino announced an additional $10,000 buy in its main event of the season XIV. The Main event of $2 million guaranteed will have an additional $10,000 buy in, added for the players to secure massive prizes. The tournament will kicks off on April 15 and will conclude on April 20, for the $2 Million Guaranteed at Seminole Hard Rock Hotel & Casino. WPT Seminole is one of the largest in field size and last year the tournament attracted 1,795 entries, which is a record in world poker tour history. The first prize winner of the event will get an entry to the prestigious WPT Tournament of Champions, to be kicked off on April 22, which is the biggest tournament of the world poker tour. The Hard Rock casino also announced an additional $1 Million Guaranteed for the event $25K buy in High roller and it will take place on April 19, 2016 features unlimited re entries by the players to win lots and lots of money. On April 13, the event Seminole Hard Rock and WPT Foundation Present: Jason Taylor’s Charity Poker Tournament takes place for the buy in $300. On April 15, another event named as WPT SHR Poker Showdown Day 1 will takes place for buy in $3,500 and will conclude on April 17. April 19, 2016:– The event $25K High roller will be played. On April 22, 2016:- The prestigious world poker tour of Champions Day 1 takes place of buy in $15,000 and will conclude on April 24. The festival begins on March 31 of a buy in $350 buy-in with a $500,000 guaranteed. Seminole Hard Rock is one of the top casino & Poker destinations in the world these days and according its CEO Mr. Adam Pliska, the season XIV will be historic.